This is one of the ways Starbucks is investing in saving the turtles. “Hipsters and millennials will love [the new lids], and they love Starbucks...maybe competition will follow suit,” says Martin ‘20. Recently, there has been a popular movement toward banning the use of plastic straws. Some restaurants have even taken the initiative of not providing straws to customers when they purchase a beverage. Companies such as Starbucks and American Airlines have attempted to reduce the number of straws used on a daily basis. The main problem with these straws is that they are not recyclable, so when they are thrown out, they either end up in the landfill or the ocean. The pieces of straw break up into tiny pieces that remain in the ocean forever. Since the plastic sits in the ocean, the marine life consumes the leftover pieces and have a great risk of dying. In August of 2015, a marine biologist, Christine Figgener, filmed herself and her team removing a straw from a sea turtle’s nose. According to TIME Magazine, “She had no idea how much it would resonate with the world…nearly three years later, the video would help galvanize a larger movement [Starbucks and American Airlines].” This video touched many companies, leaving them to think about how many straws they are distributing each day and the harm it’s causing. For the past week, I limited my own use of plastic straws. 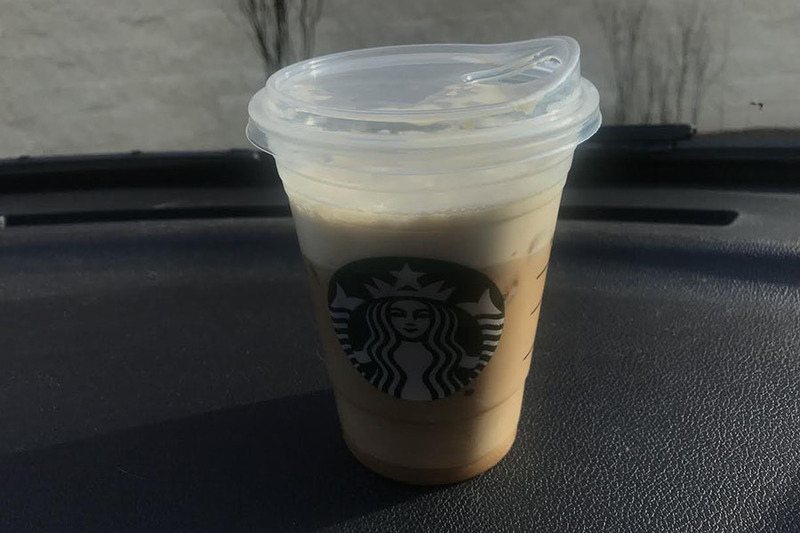 Places such as Starbucks tended to be an easier place for me to accomplish this goal because of the strawless lids they now provide. .“I see [this] as a step towards making things more environmentally friendly…a company like Starbucks with lots of customers can start the conversation,” says Mary Martin ‘20. Companies are not only trying to save the ocean by decreasing their straw usage; they are also designing water bottles made from aluminum instead of plastic. This is an eco-friendly design that limits the number of plastic water bottles that fill the ocean. According to Open Water, “1 million plastic bottles are used every single minute and 70% or more will end up in landfills and oceans.” We do not realize the impact that products, like plastic water bottles and straws, have on the planet. “We were the first to use 100% recyclable aluminum bottles—the most recycled and recyclable packaging out there,” says Open Water. Not only is this company creating a safer environment for us to live in, but the marine life as well, and they are encouraging others to join. Although straws are a nice accessory to use with a drink, there are much better alternatives that don’t have a negative effect on the ocean. There are now silicone and aluminum straws that are available at stores. There are many smart and healthy ways to start saving the turtles.